C. D. Fisher L. F. Schoenfeldt and J. B. Shaw have defined as: The process by which an employee’s contribution to the organization during specified period of time is assessed. 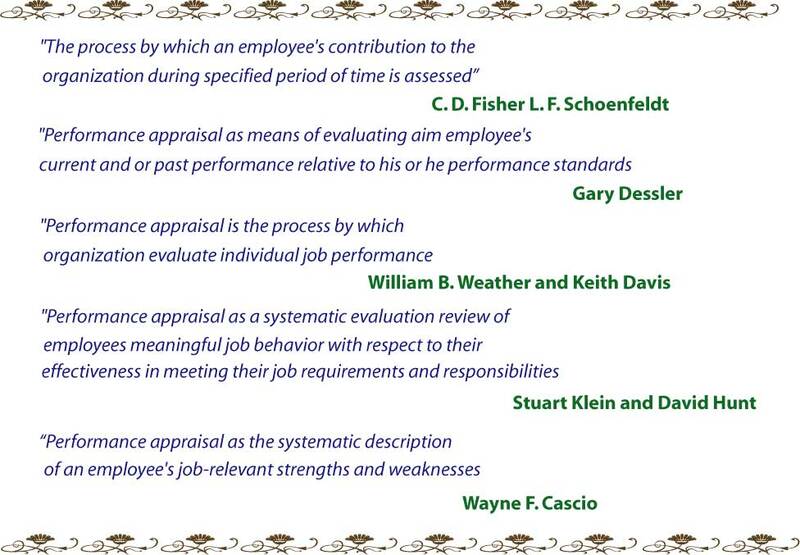 Bellows said: “Performance appraisal is defined as a systematic periodic evaluation of the worth of an individual of an organization, usually mad by a superior or someone in position to observe his performance”. Great content, neat and clean. thanks for sharing, it helps me a lot.